Sri Venkateswara Vedic University is a unique landmark in the field of Vedic education, higher learning, traditional impartation of knowledge and a salubrious mingling of the ancient and the modern studies. It was started under the benevolent tutelage of the tirumala tirupati Devastanams, Tirupati and got recognition the U.G.C. 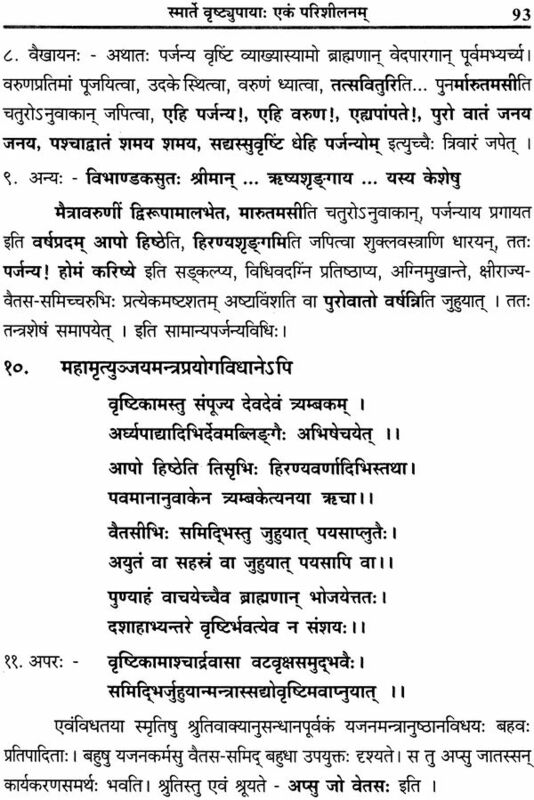 The Vedic University's history, though short as yet, has highly impressive. The Veddic University was established at Tirupati (Andhra Pradesh) in July, 2006, through an ordinance, promulgated by His Excellency, Sri Rameshwar Thakur ji, on the request of the Andhra Pradesh Cabinet. Since then this University has gone far beyond in all spheres of its motives with dazzling achievements. The courses that are taught at Sri Venkateswara Vedic University include Vedas, Agamas, Pourohitya, Vedabhasya, Vedangas, Jyotisa, Puranetihasa, Ayurveda, Sahitya and Sastras. Subjects that have gained importance in the modern day lifestyle like English, Computer Sciences, Yoga, Astronomy, Environmental Sciences, Meterology, Hydrology, Indigenous Herbal Science, Health Management, Dietetics, vedic Mathematics, Vedic Architecture etc. All find a place in the University curriculum. The University is on the Quest of linking science and Vedas in terms of teaching and research for the benefit of the society. Sri Venkateswara Vedas University provided a right platform for traditional scholars and modern scientists to discuss and develop Vedic solutions to the present day crucial problems. 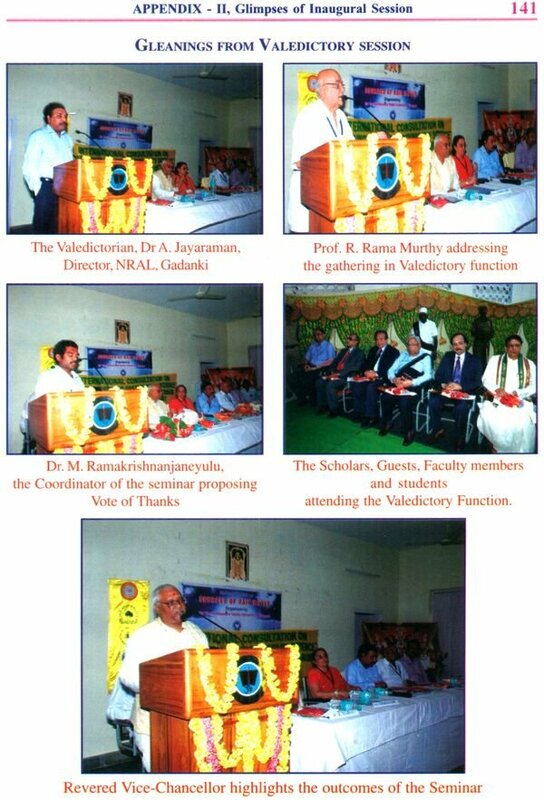 "A two day international seminar" has been organized under the combined sponsorship of Sri Venkateswara Vedic University and the Indian Science Conress, Tirupati chapter on 29th February & 1st March, 2012. 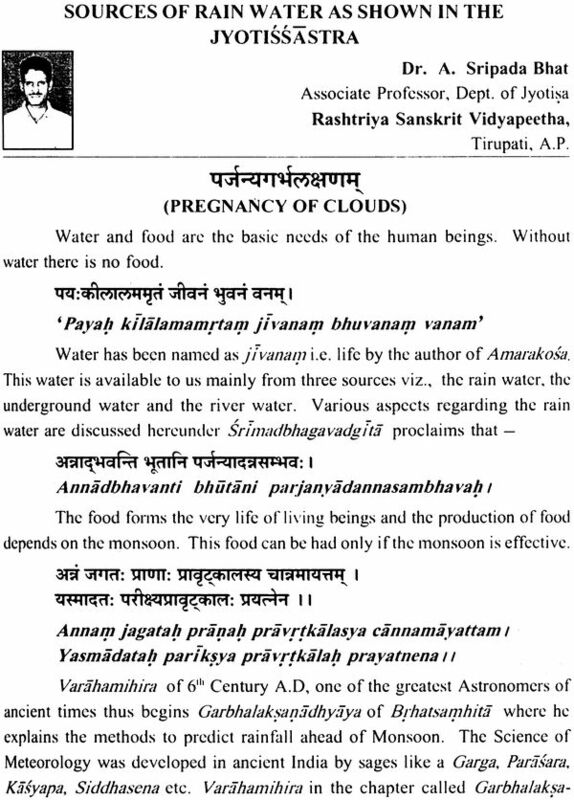 The main objective of the seminar is to find out a Vedic solution to gave water problem. Focusing on the problem, an attempt is made to get solution from different angles. "Many minds – One vision" became the motto of the seminar. The seminar tried to draw the best out of scholars. 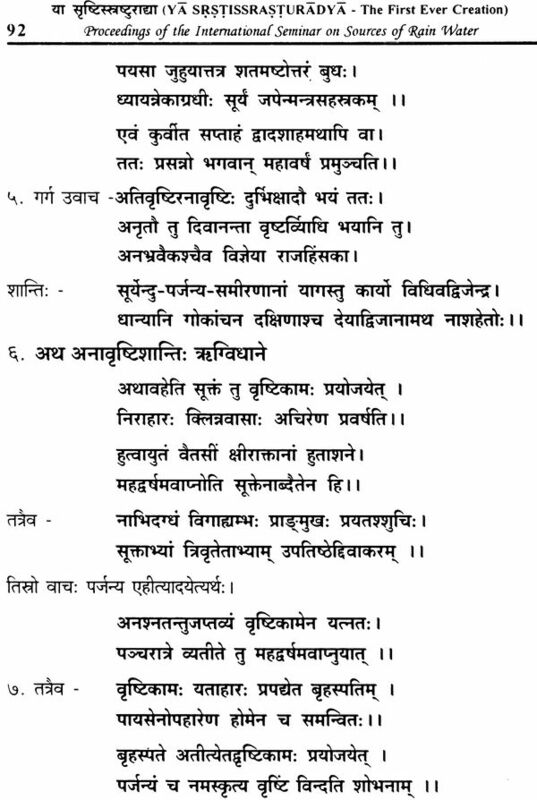 The scholars strived to elucidate solutions from Rgveda, Atharvaveda, Taittiriya Samhita, Agama, Paurohitya, Jyotisasastra, Brhatsamhita, Classical Sanskrit Literature and also from the side of Modern Sciences. As a part of this International Seminar, Sri venkateswara Vedic University conducted two sessions on Sources of Rain water. The Inaugural Session was organized on 29th February, 2012 at 09.00 AM on the Open Auditorium of Rameshwaram. In the session Dr. Balakrishna Pisuapti, Chairman, National Bio-diversity, delivered keynote address. The Inaugural and Science Day Address was presided over by Dr. R, Chidambaram, Principle Science Advisor to Govt. of India, New Delhi. 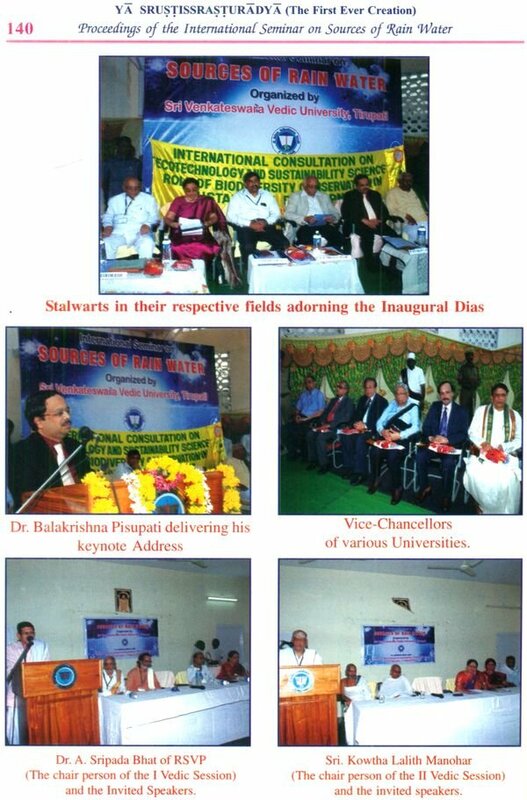 Sri L. V. Subrahmanyam, I.A.S., delivered Presidential Address; welcome address given by Prof. Sannidhanam Sudarsana Sarma, Chairman, NIUCBD, Vice-Chancellor, Sri Venkateswara Vedic University, Prof. R. Ramamurthi, Org. Chairman, NIUCBD, Prof. Kshanika Hirembu Regama, Vice-Chancellor, University of Colombo, Srilanka, Dr. Manoj Kumar Mishra, Varsity Registrar and the Vice-Chancellor of various Universities graced the occasion. The First Academic Session was held from 11.00 AM on 29th February, 2012 under the Chairmanship of Dr. A Sripada Bhat, he presented a paper on Sources of Raim water as shown in Classical Sanskrit Literature; Sri Ch. 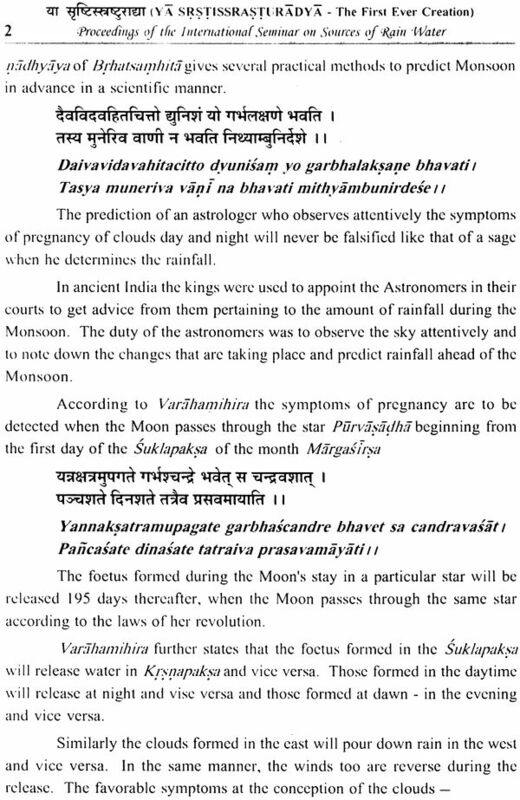 Srirama Sarma on Sources of Rain water as shown in Atharvaveda, Dr. M.S. 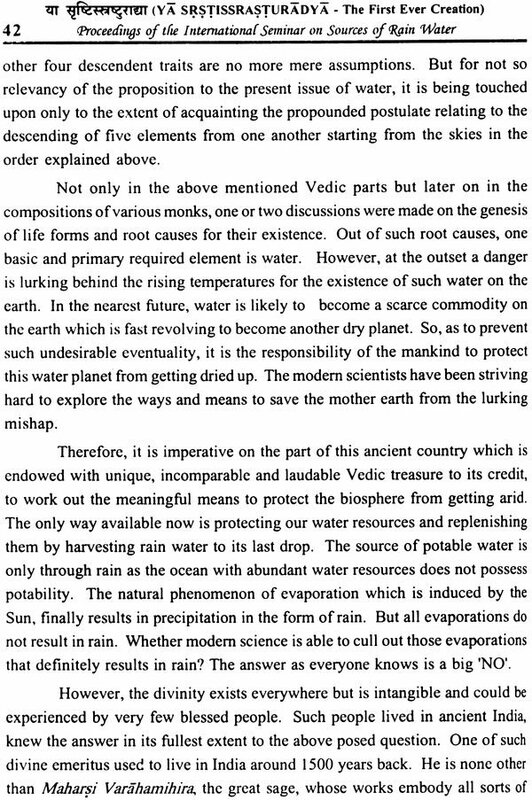 Narayanan on Sources of Rain water as shown in Modern Science. The Second Academic Session was Chaired by of Sri K.L. Manohar. 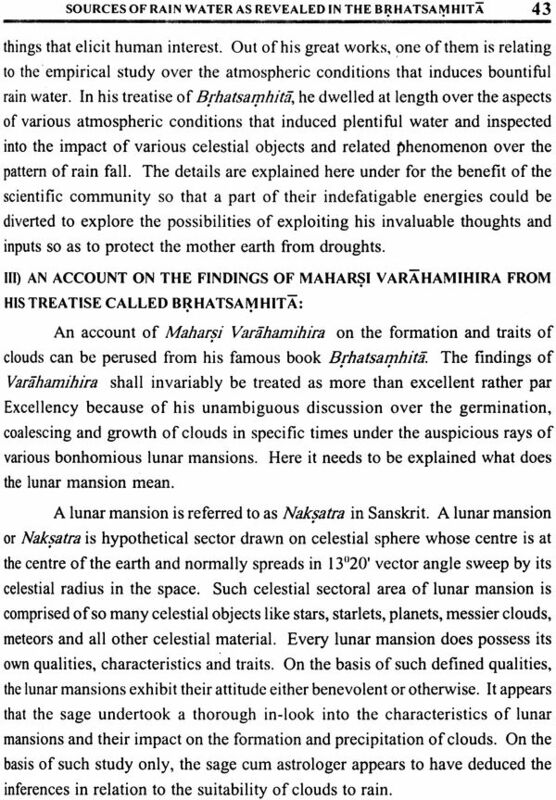 He himself presented a paper on Sources of Rain water as shown in Ramyana, Sri D. Narayana Sarma on Sources of Rain water as shown in Taittiriya, Dr. Geetha Kasturi on Sources of Rain water as shown in Rgveda; Sri M. Gopala Krishnamacharyulu on Sources of Rain water as shown in the Brhatsamhita; Shri G.V Subrahmanya Sarma presented his paper on Sources of Rain water as shown in Pourohitya. We put our sincere thanks to all of them. The Valedictory function was organized on 1st March, 2012 at 04.00 PM in which Prof. Kshanika Hirembu Regama, Vice-Chancellor, University of Colombo, Srilanka, was the chief Guest, Dr. A. Jayaraman, Director, NARL was the Guest of Honour, Prof. Sannidhanam Sudarsana Sarma, Vice-Chancellor, Sri Venkateswara Vedic University delivered the Presidential Address and Dr. R. Madhavi, Research Officer, Research and Publications, S.V. Vedic University submitted the report of the Seminar. Manoj Kumar Mishra, Registrar, S. V. Vedic University, Prof. R.Ramamurthi, Prof. G. Sudarsanam, M. Ramakrishnananjaneyulu, Assistant Registrar, S. V. Vedic University, Staff of SVVU and several dignitaries attebded the programme.